QUI! 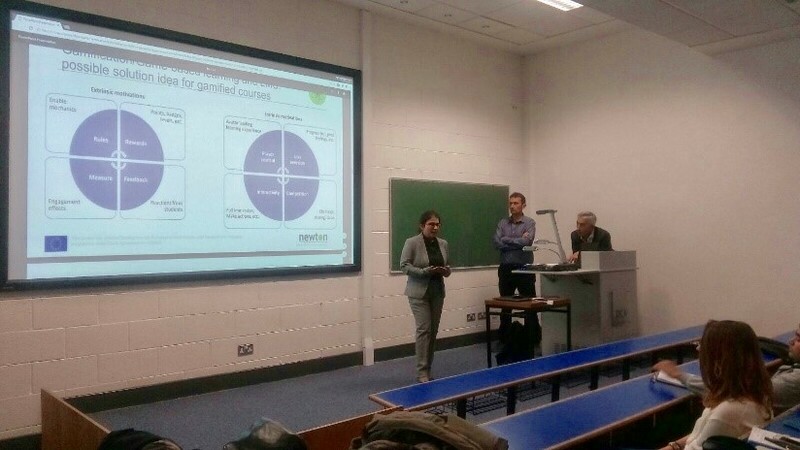 Group, White Loop, Beyond and Adaptemy, held a lecture titled “Gamification in action: Companies’ experiences at the service of NEWTON Project” at the Business School in Dublin City University, on October 17th. 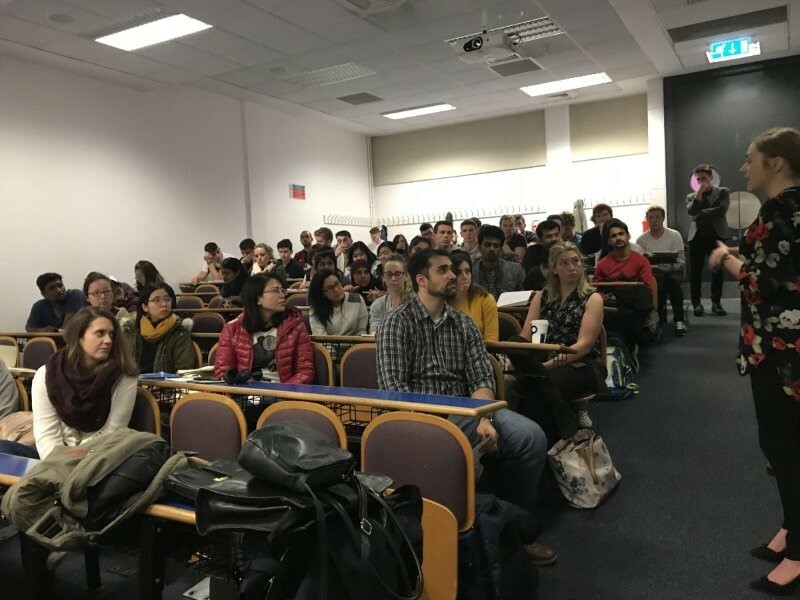 The main objective of the talk was introducing to an audience of around 100 selected post-graduate students the basics of Gamification and its application in Education and Business contexts. After an introduction regarding the goals and challenges of NEWTON Project some innovative aspects about the role of Gamification in the learning experiences were discussed. In detail, NEWTON Enhanced Gamification Model was presented as a combination of different concepts deriving from Adaptation, Gamification, Serious Gaming and Socialization aspects interconnected in a multi-layer structure; its potential impact to the general learning process, leveraging on extrinsic and intrinsic motivations of students and teachers, was also evaluated. In addition, some interesting results from various companies’ experiences by applying Gamification mechanics in different sectors and countries were showed. 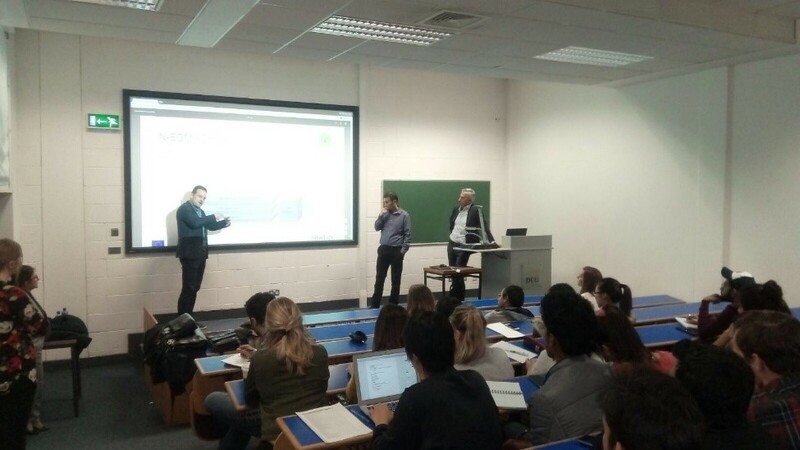 At the end of the talk the intervened speakers, with the agreement of Roisin Lyons, Assistant Professor in Entrepreneurship and Innovation organizing the event, invited the classroom to a further active collaboration in the forecoming activities of the project.